Florida is made up of people who, for the most part, enjoy being outside. This area of the country boasts comfortable weather even in the winter, and the hot weather in the summer is easily combatted with long days spent poolside. You may be like most other residents living here and enjoy hosting events and gatherings outside. 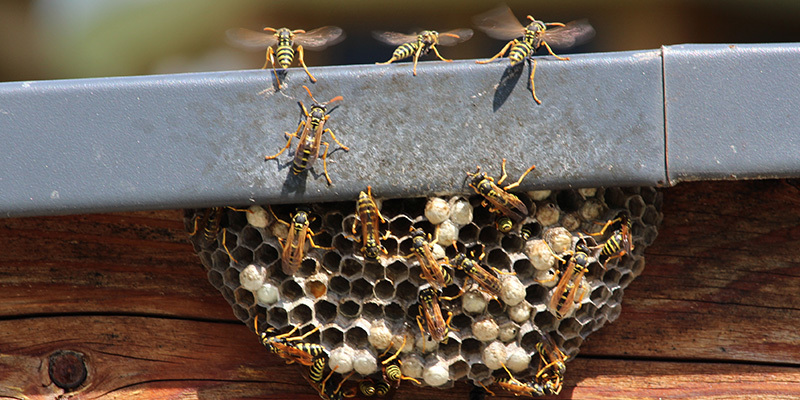 If you’ve set up your home with an outdoor entertaining space, then it’s important for you to reduce the hazard of getting stung by hiring a professional to do bee and wasp removal. You don’t want to be limited by how you can use your outdoor space. Although you may be able to kill a bee or wasp here and there, if you don’t address the nest that they’re coming from, you’ll never really be able to get rid of them. Sometimes, it can be a challenge to find the nest and sometimes, it can be dangerous to try and reach the nest. Even if you find where they’re coming from, it is also risky to try to kill them on your own. Hiring a professional for bee and wasp removal is highly recommended. You’ll feel less stressed about having someone involved who knows what they’re doing and what products to use. Don’t let the fear of bees and wasps keep you inside. We are here to help you with bee and wasp removal. Our approach is comprehensive and will allow you the peace of mind that you can be outside without risking you or a guest or family member getting stung.